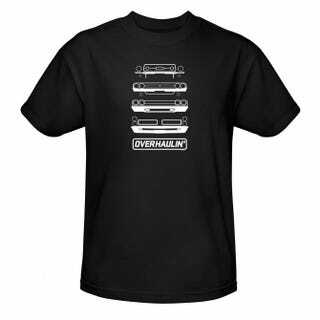 Can you spot what's wrong on the Overhaulin' shirt? It’s very subtle and I can’t even confirm if it’s a mistake or just my imagination, but after GIS’ing for 15 minutes I’m convinced there’s actually a graphical error here. UPDATE: Sam Stoner figured it out.